The Department of Agriculture requires all concrete supplied to farms for grant-aided structures to be independently certified to IS EN 206-1. Dowling Concrete Ltd is certified with the National Standards Authority of Ireland for IS EN 206-1. 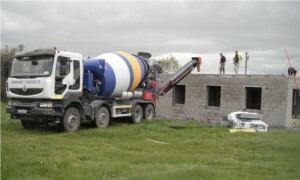 Foundations, Floors, Yards, Slurry tanks, General reinforced concrete. Silage pits, Effluent tanks containing silage. Milking parlor floors, area subject to severe abrasion. 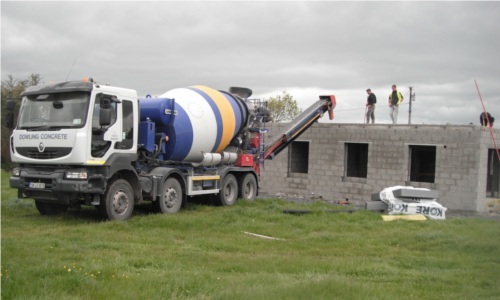 When building your new home you can be confident with Dowling Concrete Ltd. As an NSAI accredited Concrete producer, you can be certain of receiving top quality concrete for your home. Quality Concrete for Foundations, Internal Floors, Paths around the house, Yards and more! Dowling Quarries Limited is an Independent family business with generations of experience in the quarry industry. 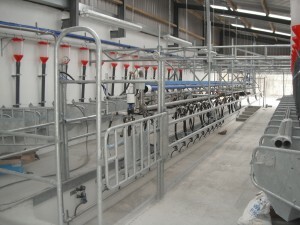 Head Office is at Lisduff Quarry which is conveniently located on the R433 road bordering the Laois Tipperary boarder. Aggregates for unbound and hydraulically bound materials for use in civil engineering work and road construction. © 2019 Dowling Quarries Ltd. All Rights Reserved.